Gymnastics Australia and Bravehearts have partnered in an Australian first initiative to provide education, training and information to the gymnastics community. 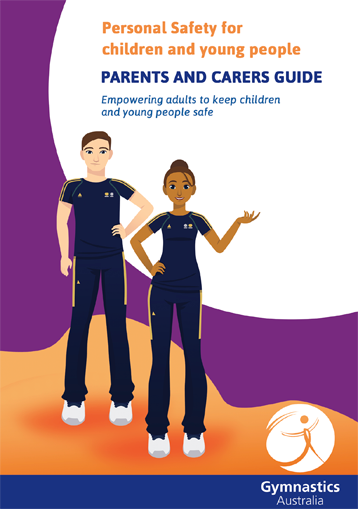 As part of this initiative, every parent of a child (under 18 years old) who is a Gymnastics Australia member, will receive a Parents and Carers Guide which includes vital personal safety messages for children on the inside sleeve. Contact your club today to receive your guide.